Khenpo Thupten Nyendrak aka Khenpo Thupnyen (Wyl. 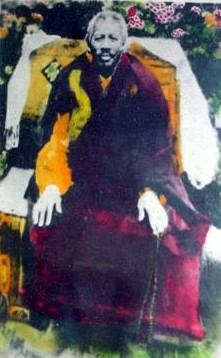 mkhan po thub bstan snyan grags) (1883-1959) — an important khenpo at Dzogchen Monastery. He was a student of Khenpo Shenga and a teacher of the Sixth Dzogchen Rinpoche to whom he gave full monastic ordination, Dodrupchen Rinpoche, and Alak Zenkar Rinpoche to whom he gave novice ordination. He spent some time in Bhutan before he was tragically poisoned and passing away in 1959. His writings include a commentary on the seventy points of the Abhisamayalankara. This page was last edited on 6 June 2017, at 07:37.